Love the sink! What is the brand and style? 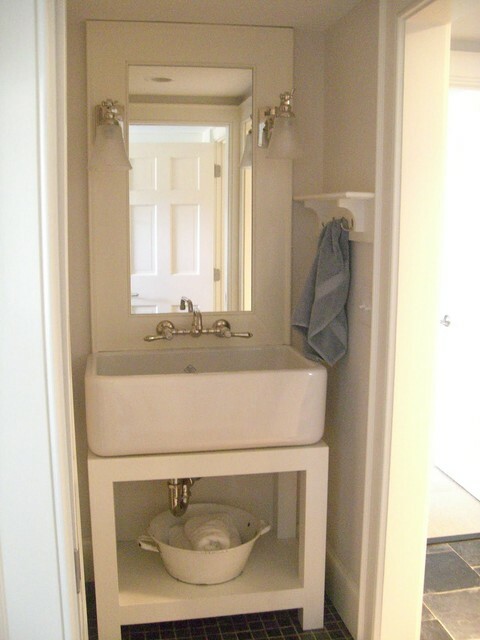 What a nice niche for a sink, and everything fits perfectly! The 24" model weighs 122 lbs, so proper care must be taken with installing it. What is the name of the floor and manufacturere? What is the brand of faucet? Powder in back of house for mudroom area?